"Meditation is a long journey, a pilgrimage into the mind itself." In Gurudeva's approach we start meditation with the physical body then get more and more subtle, withdrawing energy into the spine then not utilizing mental activity. Everything we meditate on is actual experience, not something the mind has created. We experience something that's always there, awareness aware of itself. 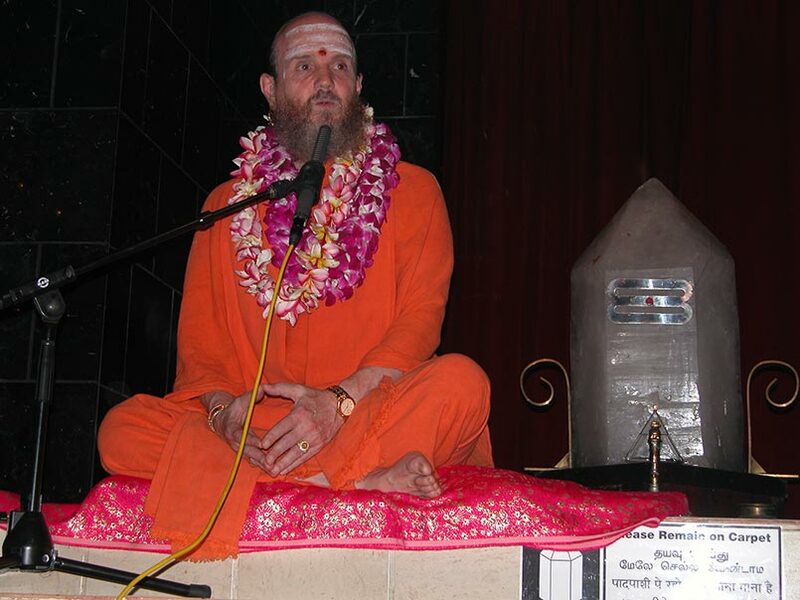 Gurudeva's mystical Natha Language of Shum. Awareness is the witness consciousness of the soul, 'niif.' In the nature of our form of meditation there is a continuity (nalif) from one day to the next. A compilation video of our Innersearch 2018 Sri Lanka travel-study program. Fifty-nine participants traveled with Satguru Bodhinatha Veylanswami and five of his monks to Colombo, Habarana and Jaffna. They had classes with Satguru, went on adventuresome outings, worshiped at powerful temple, and visited holy shrines related to the Kailasa lineage. This entry was posted on Tuesday, April 3, 2018 at 1:32 pm and is filed under Pilgrimage, Sadhana. You can follow any responses to this entry through the RSS 2.0 feed. You can leave a response, or trackback from your own site. Innersearch Sri Lanka is almost underway. The staff departed the monastery for a 27-hour transit to their final destination. The first on the ground planning meeting with head ground coordinator Rishi Thondunatha. This entry was posted on Friday, February 16, 2018 at 7:56 pm and is filed under Pilgrimage, Sadhana, Travel Missions. You can follow any responses to this entry through the RSS 2.0 feed. You can leave a response, or trackback from your own site. Bodhinatha addresses the misconception that householders should be detached from their family and professional life. Using the Tirukural as a reference, he highlights that detachment for the householder means to be detached from one's wealth and possessions enough to be able to do charity. Then he describes key goals of monastic life and the service done by our monastic order, pointing out that the path of spiritual unfoldment, like an oak tree, takes many years to yield results. But we should have faith that the ancient methods and path will one day yield results. This entry was posted on Sunday, January 7, 2018 at 2:50 pm and is filed under Bodhinatha, Hindu Heritage Endowment, Hinduism Today Magazine, Sadhana. You can follow any responses to this entry through the RSS 2.0 feed. You can leave a response, or trackback from your own site. A recently taken 360 video for our upcoming kauai Aadheenam Virtual Tour. Click the gear and select a high quality. Click and drag to look around. If you're viewing this on a device, click the youtube video title to view on Youtube, in order to see in full immersive 360. This entry was posted on Tuesday, November 28, 2017 at 7:52 pm and is filed under Monastery, Sadhana. You can follow any responses to this entry through the RSS 2.0 feed. You can skip to the end and leave a response. Pinging is currently not allowed. The daily abhishekam of Lord Murugan, our Lord Kartikeya, has been a joy for one of our senior swamis Muruganathaswami; a daily vigil he has done for years. Without fail our vigil system in Kadavul temple goes on from light to dark and dark to light over and over again. The 6am Murugan abhishekam happens daily and there is never a day when He is not cared for, worshiped and revered. 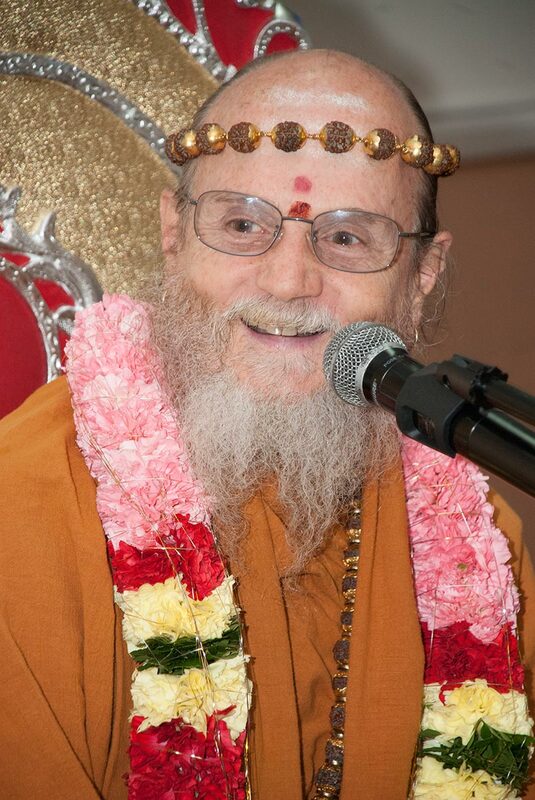 For this seva He has beamed shakti back to us, and on auspicious festivals in His name we can feel His intoxicating darshan overcome us. This uniquely Hindu experience is a reminder to us all that the Gods are in the inner worlds, they are real and they are waiting for us to open up and hear them roar. "Lord Kartikeya, Murugan, first guru and Pleiadean master of kundalini yoga, was born of God Siva's mind. His dynamic power awakens spiritual cognition to propel souls onward in their evolution to Siva's feet. "Lord Kartikeya flies through the mind's vast substance from planet to planet. He could well be called the Emancipator, ever available to the call of those in distress. Lord Kartikeya, God of will, direct cognition and the purest, child-like divine love, propels us onward on the righteous way through religion, Hid FAther's law. Majestically seated on the manipura charka, this scarlet-hued God blesses mankind and strengthens our will when we lift to the inner sky through sadhana and yoga. The yoga pada begins with the worship of Him. The yogi, locked in meditation, venerates Karikeya, Skanda, as his mind becomes as calm as Saravana, the lake of Divine Essence. The kundalini force within everyone is held and controlled by this powerful God, first among renunciates, dear to all sannyasins. Revered as Murugan in the South, He is commander in chief of the great devonic army, a fine, dynamic soldier of the within, a fearless defender of righteousness. He is Divinity emulated in form. "The Vedas say, "To such a one who has his stains wiped away, the venerable Sanatkumara shows the further shore of darkness. Him they call Skanda." "Lord Shanmugam, the six-faced, twelve-armed son of Siva, wields many weapons, as He battles the forces of darkness to end wars, large and small. He rides the noble peacock, Mayil, which represents effulgent beauty and religion in its fullest glory." Quoted excerpt is from Dancing with Siva, our catechism for the Saiva Hindu tradition. This entry was posted on Wednesday, November 8, 2017 at 1:45 pm and is filed under Sadhana. You can follow any responses to this entry through the RSS 2.0 feed. You can skip to the end and leave a response. Pinging is currently not allowed. Transcript: When I was looking at TAKA recently it threw up a quote from Gurudeva on experience which I'll read in just a minute. But first the verse in, a verse in Patanjali's Yoga Sutras which also references experience. This entry was posted on Tuesday, November 7, 2017 at 7:42 pm and is filed under Sadhana. You can follow any responses to this entry through the RSS 2.0 feed. You can skip to the end and leave a response. Pinging is currently not allowed. This entry was posted on Sunday, October 29, 2017 at 10:25 pm and is filed under Sadhana, Theology. You can follow any responses to this entry through the RSS 2.0 feed. You can skip to the end and leave a response. Pinging is currently not allowed.